After pledging, investing and otherwise guaranteeing the Chinese stock market to the tune of 10% of GDP, and intervening on at least 40 different occasions in the past month ever since China’s stock bubble burst in late June, with the subsequent crash nearly taking the Shanghai Composite red for the year, overnight China officially lost control for the second time, when after a weak start to the Monday trading session, things turned very ugly in the last hour, when the Shanghai Composite plunged by 8.48%, closing nearly at the lows, and tumbling some 345 points for its biggest one-day drop since February 2007 and its second biggest crash in history! The selling was steady throughout the day, but spiked in the last hour on concerns China would rein in its market-supporting programs following IMF demands to normalize its relentless market intervention. According to Bloomberg’s Richard Breslow: “fear that the extraordinary support measures employed to hold up the market may be scaled back caused heavy afternoon selling resulting in a down 8.5% day.” Of course, one can come up with any number of theories to explain the plunge: for example the PBOC did not buy enough to offset the relentless selling. 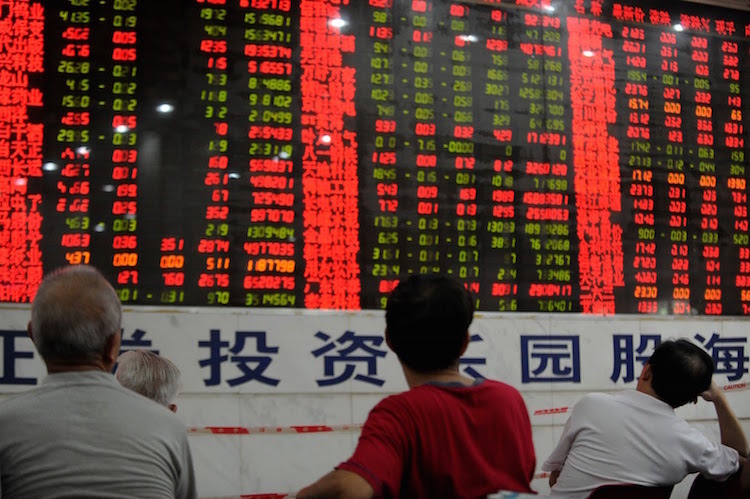 Although hundreds of stocks have resumed trading since the market bottomed earlier this month,126 stocks on the Shanghai Composite are still halted.